There’s been a lot of changes in agriculture through the decades, from the equipment used to the amount of land needed to sustain a livelihood. 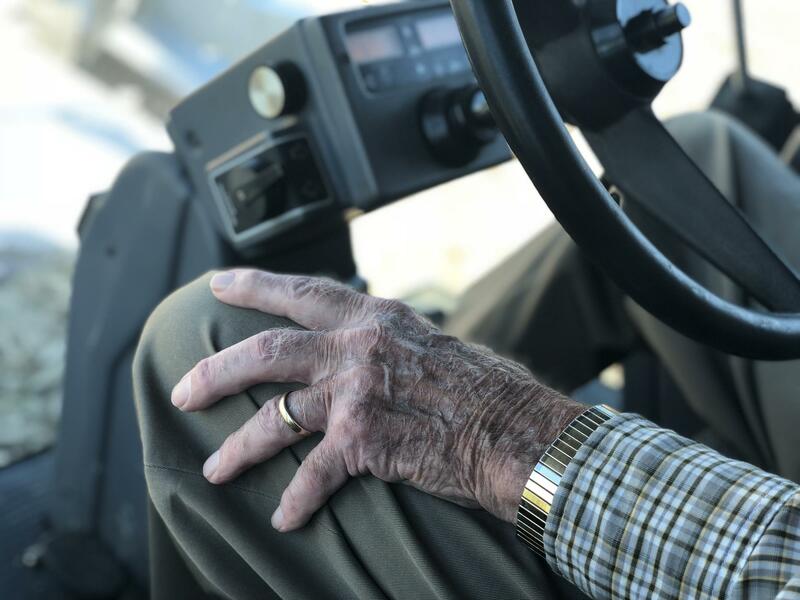 Gary Oxley is an Illinois man who has been farming for more than 70 years. He discusses the changes he's witnessed first hand. It was a sunny day, warmer than usual for harvest, when I hopped in Gary Oxley’s silver 98 model Gleaner combine. 87-year-old Gary Oxley still sews and harvests seeds on his family farm. The first thing I noticed were his hands. They were worn, aged by the sun, and his gold wedding band slipped down near his knuckle unable to stay in the place where it used to sit as a young man. Gary is 87 years old. He still sows and harvests seeds on the family farm in Modesto, a small village about 40 miles southwest of Springfield. He started as a teenager, helping his dad and grandpa back in the late 1940s. 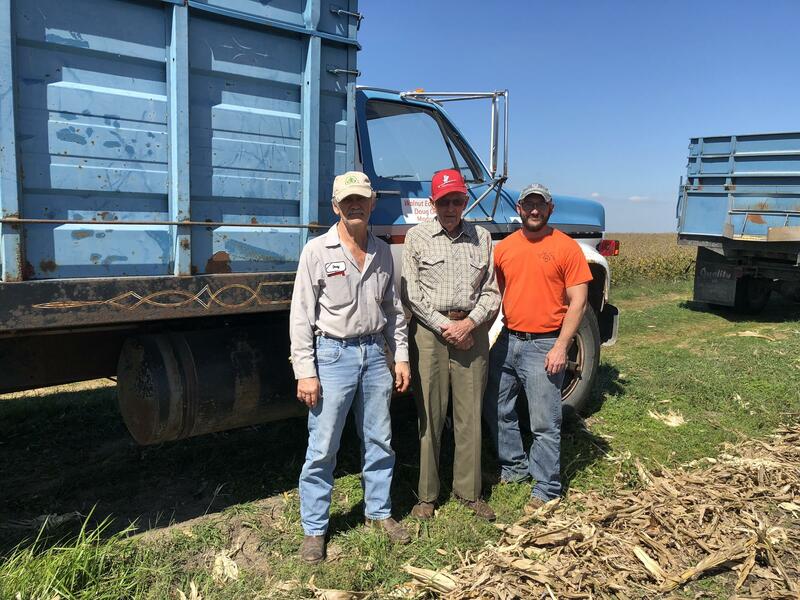 Gary has seen a lot of changes in this job over his seven decades in the fields. In fact, he said not much is the same. “It’s hard to say how much it’s changed. In '41 my dad traded all the horses and horse drawn equipment off to an Aliss dealer for a tractor." Allis-Chalmers was a U.S. manufacturer that gained fame for their bright orange tractors and silver combines; the company is long gone. Sitting in an air-conditioned combine with the radio softly playing old country tunes, Gary reminiced about harvesting crops in machinery that didn’t have a cab. Of course, today, it’s almost rare to see a combine that harvests less than eight rows at a time. Years ago it might have taken weeks to harvest 100 acres. Today, that can be done in eight hours. In the past five years, farmers have suffered from declining market prices for grain. Gary remembers when they were much lower, but it was just a different time. Gary watched his father and grandfather build the farm from the ground up, gaining valuable life lessons along the way. He also gave credit to the matriarch of the family. His wife of 61 years, Lyla, who maintained a household while managing the books for the farm. Doug, Gary, and Brandon Oxley stop for a picture in front of their grain truck. Now he gets to see his son, Doug, and grandson, Brandon, take over. Gary said he hopes they will be able to continue working on the family farm, and remain profitable. Doug is happy to continue the legacy. He gave his dad all the credit for his knowledge of farming. Maintaining the farm is, and always will be, a family affair. One the Oxley’s are proud to be a part of. Around the noon hour, we said our goodbyes and I watched the Oxley men slide into Doug’s 1973 Chevy pick-up truck. They headed to lunch at Doug’s childhood home where ham, mashed potatoes, and a vegetable waited for them, cooked by Lyla. These days, most farmers will get something fried at the local pub and eat quickly in the tractor to maximize their time, but Gary insists on a break and a hot meal. Maybe a little old school, but a staple on the Oxley family farm. Gov. 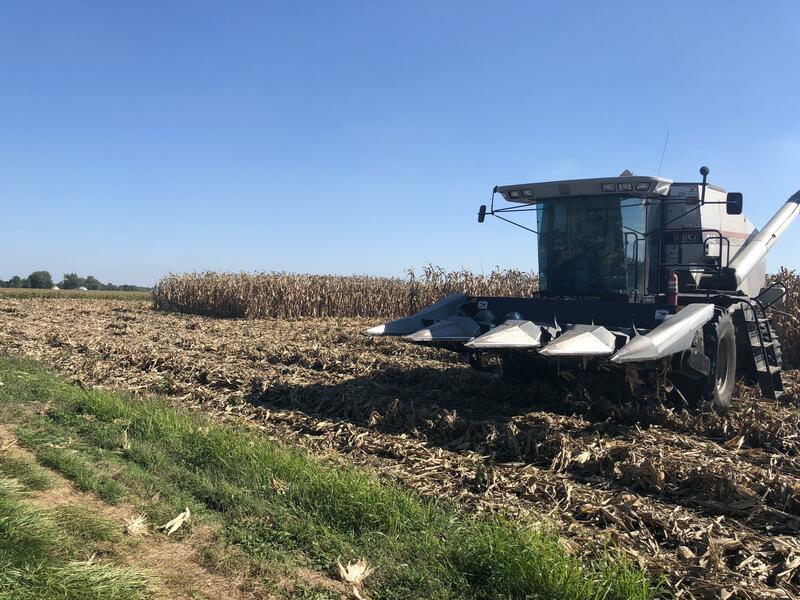 Bruce Rauner has declared a “harvest emergency” across Illinois. Rural America was an important demographic in the last election cycle, helping Donald Trump advance to the White House over Democratic candidate Hillary Clinton. Even though Illinois was an electoral victory for Clinton, only twelve of Illinois’ 102 counties went blue, and more than half of those were located in Chicagoland.